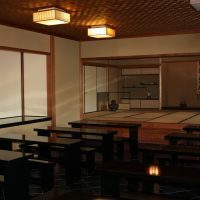 Teahouse Ippaku-an invites you to a unique matcha experience with healthful and tasty matcha accompanied by select Japanese sweets. Sencha green tea is also available. The building was designed by Nahiko Emori, an architect who oversaw the tea house of the Japanese embassy in Washington D.C. Take your time to breath in the serenity of the Tea Garden while comfortably seated to enjoy your tea. 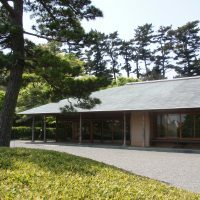 Designed by renowned architect Emori Nahiko, the teahouse was built to commemorate the centennial of Okada Mokichi's birth. Thus, the name was taken from the Japanese letter "百" (one hundred), which is divided into two parts "一" and "白" which respectively mean "one" and "white," and which reads "ippaku." 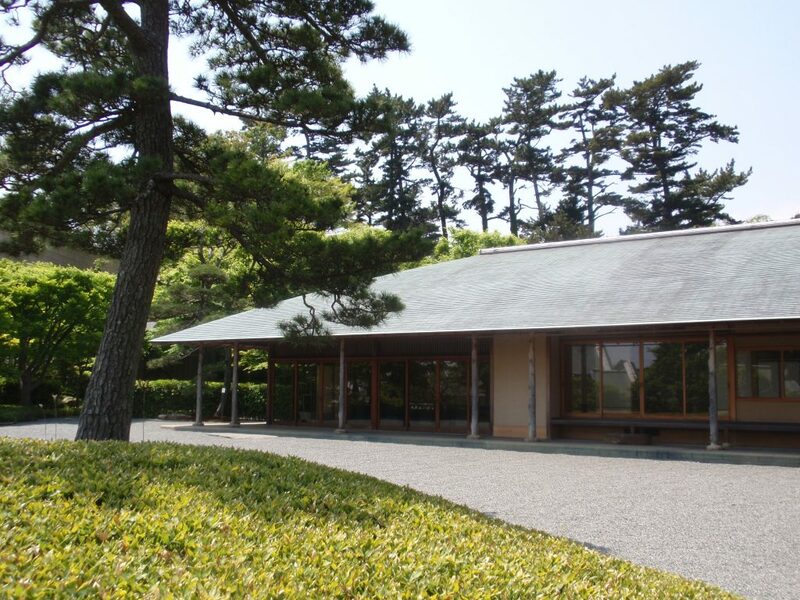 The teahouse is built in the rustic style. 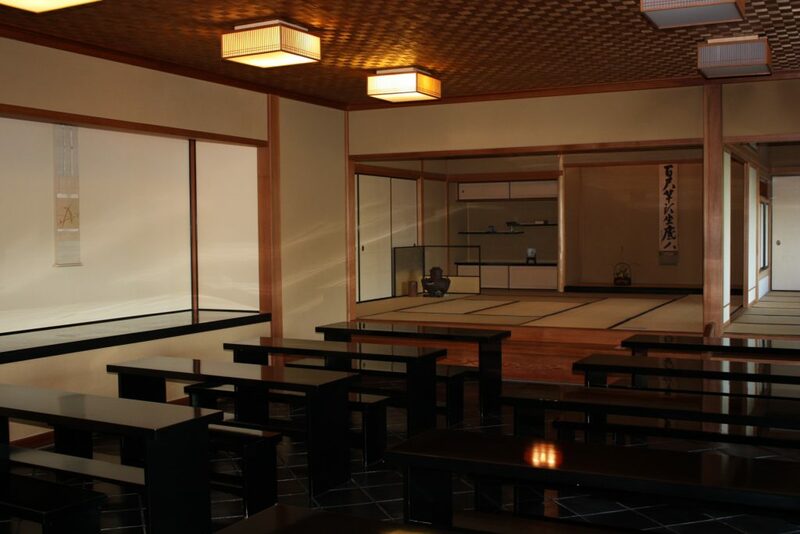 Inside, there are small hermitage-style rooms and a large reception-style room, and table- style seating area. 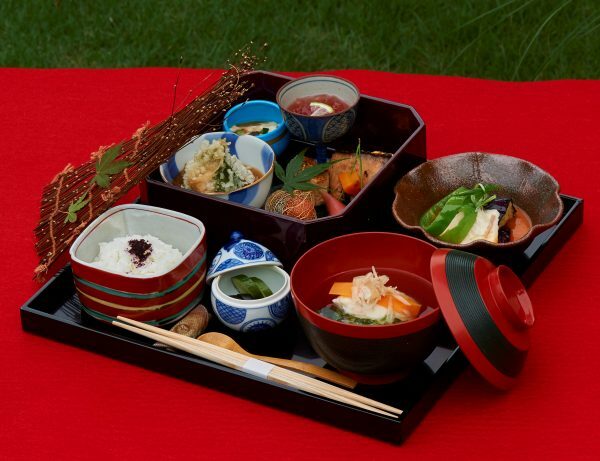 Dry sweets are specially delivered by an authentic confectionery of Japanese sweets, Handa-Shokado. 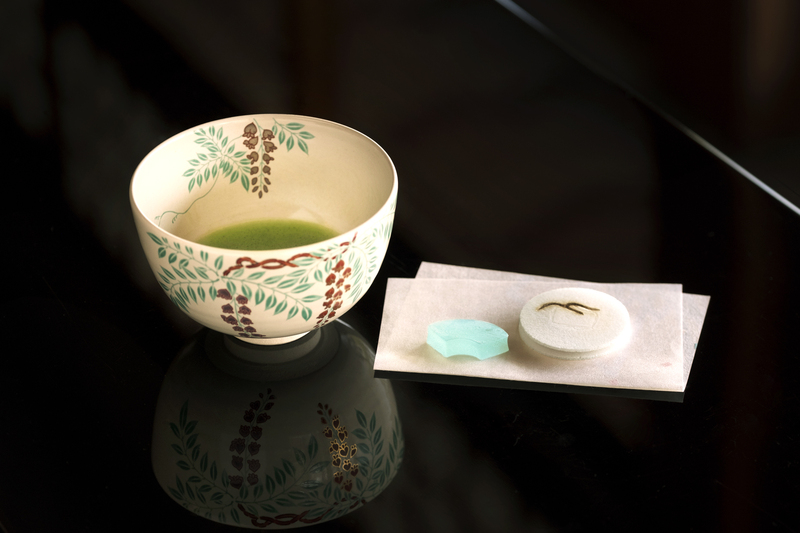 Miso-based sweet bean paste nestled between round rice-pancakes adds a delicate accent to the rich flavor of matcha. Different sweets are selected for the seasons. Accompaniment is a sweet ‘Chikufu’ by a local confectionery Wakanaya. 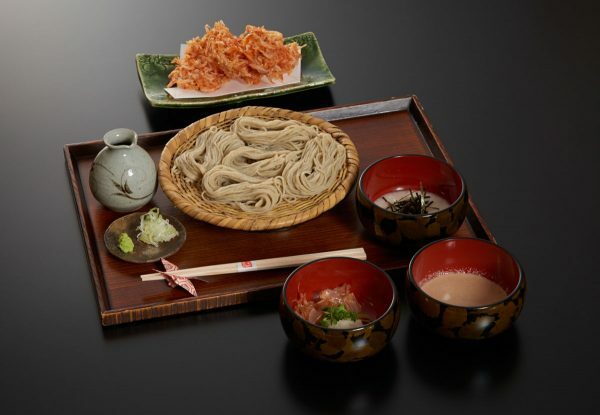 A pair of soft pancakes made from organic flour and cane sugar has a gentle texture that melts in the mouth, with a filling of sweet bean paste. Locally-grown organic green tea is lovingly hand-picked for an exquisite flavor.